The latest episode of Pokémon Sunday, Diamond & Pearl Returns 'Forest of Hesitation! Shinji Again!' / 'The Children are Delighted, Let's Make Sushi!' / 'Pocket Monsters Platinum' Battle Lecture (ダイヤモンド＆パールリターンズ「迷いの森！シンジふたたび! !」 「子供たちがよろこぶお寿司を作ろう！」 「ポケットモンスター プラチナ」バトル講座), aired on Sunday in Japan. This weeks Pokémon Revival episode is 迷いの森！シンジふたたび!! (Forest of Hesitation! Shinji Again!) which is the sixth episode of Diamond & Pearl. Eipom and Pochama get into a fight over an orange while Naetle breaks it up. Satoshi is then confronted by Shinji while in the forest. What will happen between these two rivals? In this weeks episode, the Pokemon Sunday gang visits a Sushi restaurant where they compete against each other to make the best sushi. 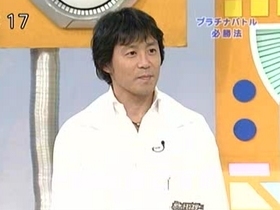 Later on in the episode, Game Freak Battle Director Shigeki Morimoto (森本茂樹) comes in to explain some of the features in Pocket Monsters Platinum. Pictures from this episode have been added to the episode guide. You can can also comment and discuss this episode. Also be sure to rate this and other episodes in the episode guide. The latest episodes of Pocket Monsters Diamond&Pearl, Unidentified Floating Monster!? ( 浮かぶ未確認怪物！？), aired on October 16th in Japan. Satoshi and friends stop at Zui Town once again to visit Aoi's home. However, everyone in Zui Town is talking about the rumor of a huge flying monster appearing every night. Can Satoshi solve the rumor and find out what is causing the disturbance at night?! Pictures from DP98 have been added to the episode guide. You can can also comment and discuss this episode. Also be sure to rate these and other episodes in the episode guide. Below are pictures from next weeks episode which features Ryō who is a master Bug-type trainer and member of the Sinnoh Elite Four. This will be the first appearance by Ryō in the anime and he will also be the third Sinnoh Elite Four member to make an appearance. Pokémon fans, get ready for a grand adventure this winter as Pokémon Ranger: Shadows of Almia launches across Europe on 21st November. Sworn to protect the people and the Pokémon of the all-new Almia Region, players will be powering up their Capture Styler to team up with Pokémon in an adventure to thwart the evil forces endangering Almia. Featuring Pokémon familiar from Pokémon Diamond and Pokémon Pearl, the Almia Region offers adventure around every corner, including additional missions that can be downloaded using Nintendo Wi-Fi Connection. In Pokémon Ranger: Shadows of Almia players start off as a rookie at the Ranger School, with the ultimate goal of becoming Top Ranger still a distant dream. But as soon as a series of mysterious events disturb the peace in Almia, the brave Rangers of the Ranger Union are called in to investigate. Who is causing Pokémon all across the region to behave so strangely – and why? Players will get to the bottom of the biggest threat Almia has ever faced, uncovering the origins of the Ranger Union in the process. Challenging Missions and dozens of additional Quests will put players’ skills to the test as they try out the revamped process of capturing Pokémon by befriending them with a device called the Capture Styler. This makes use of the Nintendo DS Touch Screen in a fun and exciting way. Players must slide their Stylus on the Nintendo DS Touch Screen and draw loops around the target Pokémon with the Styler’s Capture Disc - but be careful, capturing Pokémon is not as easy as you think! Players must work out how to use the specific strengths of Pokémon they’ve befriended to their advantage. By using Poké Assists in clever ways even the most dangerous Pokémon can be captured. Helping out the people of Almia in need allows players to earn all sorts of power-ups for their Capture Styler, preparing them for the dangerous boss encounters ahead. The skills of befriended Pokémon will also come in handy to conquer the many obstacles found in the varied terrain of the Almia Region. Skilful use of Field Moves specific to certain Pokémon will help players cut vines, cross underwater lakes and burn logs blocking their path. But a Ranger can’t rely on other Pokémon alone, and must develop skills to climb dangerous cliffs, navigate the narrow platforms of a treacherous temple or find a way to escape from the enemy’s hideout. True Pokémon Rangers will be rewarded with additional Missions that can be downloaded via Nintendo Wi-Fi Connection, which can result in unexpected surprises. So get ready to live a wild new life as a Pokémon Ranger. Team up with your favourite Pokémon and defeat a mysterious evil as Pokémon Ranger: Shadows of Almia is launched across Europe on 21st November 2008. The latest episode of Pokémon Sunday, Diamond & Pearl Returns 'Naetle! I got It!' / The Help Corps 'I want to sing well' / New Information about the Pokemon Card Game (ダイヤモンド＆パールリターンズ 「ナエトル、ゲットだぜ！」 手助け隊「歌がうまくなりたい」ポケモンカードゲーム新情報), aired on Sunday in Japan. 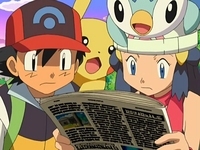 This weeks Pokémon Revival episode is ナエトル、ゲットだぜ！(Naetle! I got It!) which is the firth episode of Diamond & Pearl. Satoshi knocks down Rocket Gang's balloon after they captured Pikachu. A wild Naetle saves Pikachu from the balloon that falls into a distant lake. Will Satoshi be reunited with Pikachu? What will become of the wild Naetle that saved Pikachu? 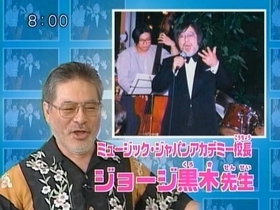 In this weeks episode, George Kuroki (ジョージ黒木), a vocal teacher and professional singer guest stars. He attempts to help Golgo and Professor Red, as well as five children, learn to sing better. He shows them how to control the air flow from their lungs to help them. The children later put on a musical act showcasing what they had learned. A new intro also aired during last weeks episode of Pokemon Sunday. 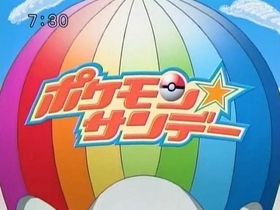 This marks the fifth intro used for Pokemon Sunday and the beginning of the fifth year of the show. 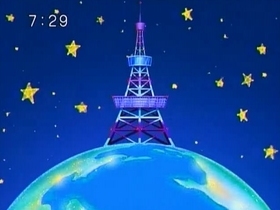 The intro starts off by showing the Tokyo Tower (東京タワー) in an exaggerated size on top of the earth. The stars are out but it quickly changes to daytime as the announcer says, 'PokeMorning!'. 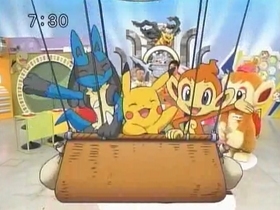 Pikachu, Lucario and Hikozaru are flying over in the Pokemon Sunday balloon throughout the intro. 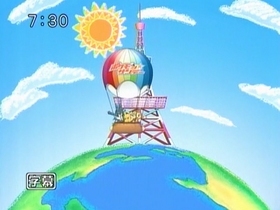 Clips from the upcoming episode are shown and once again the Pokemon Sunday balloon appears as the video transitions to the live action beginning. Below are a few screenshots from the intro. Visit any Toys R Us store between 12pm to 4pm on November 8th and November 9th to recieve an amazing level 50 Dragonite. What makes this Dragonite so special? Plenty! Dragonair normally doesn't evolve into Dragonite until Level 55, so having a level 50 Dragonite is extremely rare. Since you can get this Dragonite at level 50, it will be able to enter official tournaments that are limited to Level 50 Pokémon. On top of that, Dragonite comes equipped with an amazing arsenal of moves, some of which can't normally be learned until after Level 50! Available at Toys "R" Us stores in the US and Puerto Rico from noon to 4pm on November 8th and 9th. The Computer Entertainment Supplier's Association (CESA) has selected and awarded outstanding computer entertainment software products of all computer platforms including home videogame systems and personal computers since 1996 based on the spirit of openness, fairness and justness. This years awards have been announced and Pokémon Mystery Dungeon: Explorers of Time & Explorers of Darkness won an Award for excellence. It will be presented at the Japan Game Awards 2008 which takes place from October 9 to 12, 2008. The Pokémon Mystery Dungeon: Explorers of Time & Explorers of Darkness games are sequels to Pokémon Mystery Dungeon. They include the new Generation IV Pokémon and have some Wi-Fi features, as well as more dual-screen features than their predecessor. Since it's release in Japan last year, the games have sold approximately 3.36 million copies worldwide according to VGchartz.